How to Reach God's Heart with Bold, Humble Prayers The all-powerful God of the universe loves you and wants to talk with you! 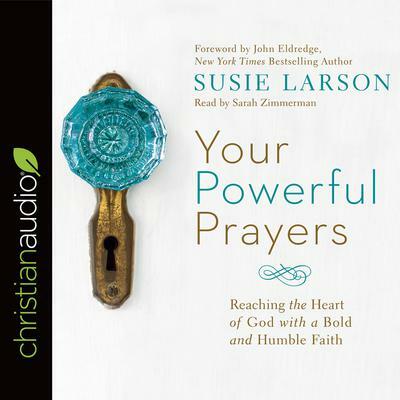 Drawing from thirty years of journaling, trusted author and radio host Susie Larson shares the secrets to effective prayer. She will help you put into action the powerful combination of a humble reverence before God and a tenacious hold on the promises he gives his beloved children, drawing you closer to God and changing how you see yourself and your circumstances. Sharing personal stories and biblical insights, Susie shows how to: · Pray specifically and persistently for God's promises · Overcome common hindrances to effective prayer · Move from begging and pleading to praying and believing Discover your unique identity in Christ and confidently embrace his personal provision, power, and love.